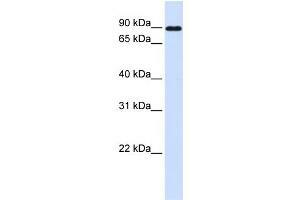 Characteristics This is a rabbit polyclonal antibody against CDH24. It was validated on Western Blot using a cell lysate as a positive control. Background Cadherins are calcium dependent cell adhesion proteins. They preferentially interact with themselves in a homophilic manner in connecting cells, cadherins may thus contribute to the sorting of heterogeneous cell types. Cadherin-24 mediate strong cell-cell adhesion.